Hi everyone! 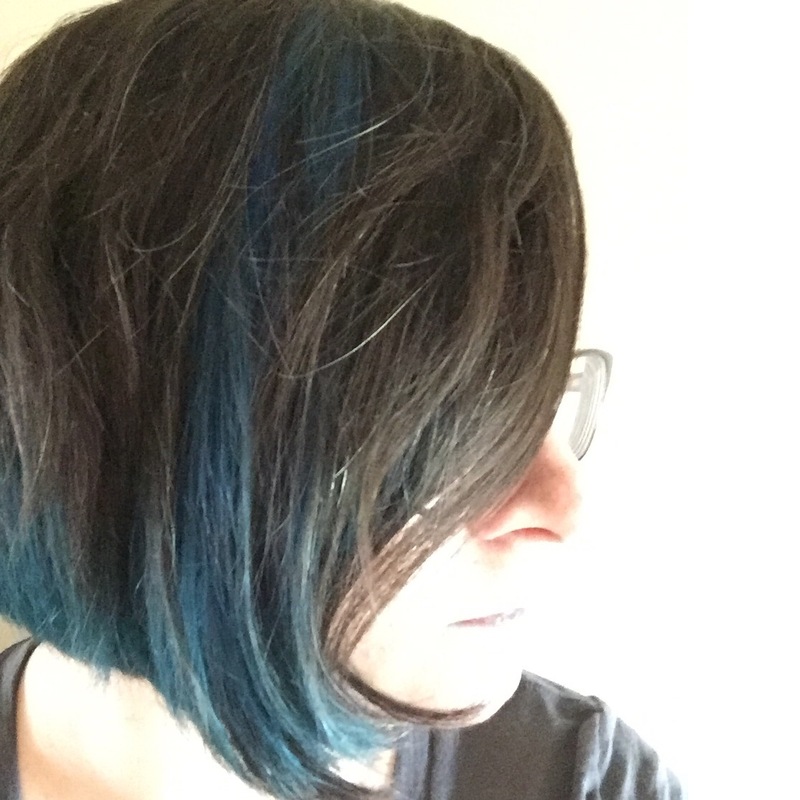 Today I’ve been invited to be a part of Simon Pulse’s What’s Raising Our Pulse Book Club, where we answer a question focusing on one of Simon Pulse’s latest book releases. Plus there’s a giveaway! Now it’s time for the discussion! If you had to give up everything for The Rush, what would be the hardest thing to say goodbye to? That’s a really hard question! For me, I have a son and husband, and if they weren’t a part of The Rush with me, they’d be the hardest to say goodbye to. Then again, I’d hope they’d be whisked away right along with me. At one point in This Side of Salvation, they talk about not having television in heaven or something, and someone says something about how they’ll have a front-row seat to the end of the world. I’m agnostic, so I’m not really sure I believe in a heaven, but my kind of heaven would be one where we’d still have TV and books and basically everything we have here on Earth. But I know that in the book, David has to give up everything for like 40 days in preparation for The Rush. He has to give up baseball, school, his friends, and his girlfriend. It’s supposed to be a time for them to let go of their worldly things before they are taken away. So if we’re talking about that time period, and I still got to see my husband and son, then my friends, books, and TV shows would be the hardest for me to give up. Because I’m pretty sure the people who want you to give up things for The Rush wouldn’t approve of my books and TV shows, since they’re not religious. So what about you guys? If you were preparing for The Rush and had to give up everything for 40 days before THE DAY, what would you miss most? Let me know in the comments! Simon Pulse is giving away a finished copy of This Side of Salvation by Jeri Smith-Ready to one of my readers! 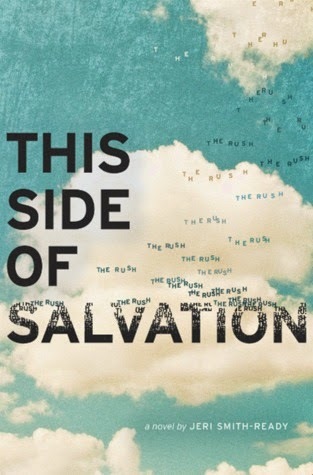 Be sure to read the Giveaway Rules, and check out my review of This Side of Salvation! One winner will receive a finished copy of This Side of Salvation by Jeri Smith-Ready. The winner will be contacted via email as well as announced on this blog following the end of the giveaway period. The winner will have 72 hours to respond to the email or a new winner will be selected. If you are chosen as a winner, you accept the fact that when you send your address to me, I will be sending it to Simon Pulse, who will then send you the book. I will delete your address after, and will not forward your information to anyone else. Good luck to everyone who enters! 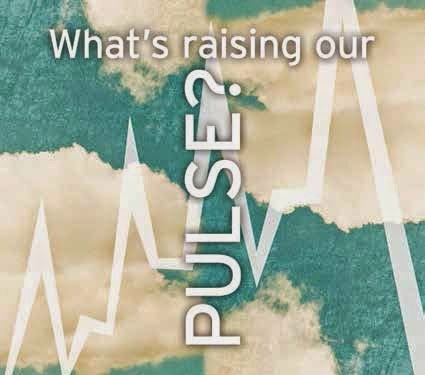 And thanks to Simon Pulse for asking me to be a part of their What’s Raising Our Pulse Book Club! The world ending is quite a horrible idea! But I feel the same way about my books, reading is such a big part of my life. 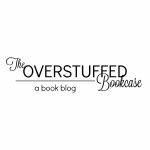 Saying goodbye to my books… and my netflix queue. Wait, can I bring The Doctor with me? It was really hard to give up talking to my friends and having books when I went on that retreat and that was just 12 days! I can't imagine going 40! No thank you! Probably books would be hard to give up, if I had to- stuff like the Game of Thrones series which I really enjoy but are probably not on the reading list in heaven. :) Nice giveaway!